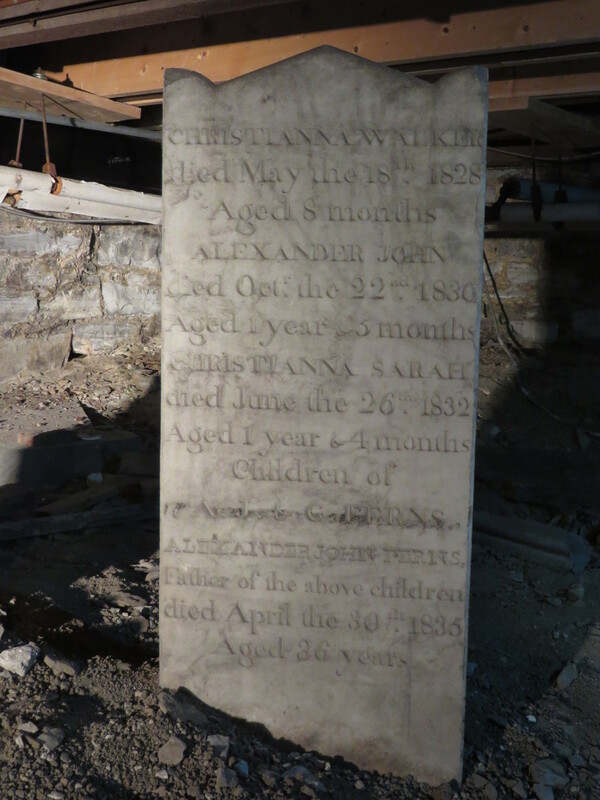 There are five children of the Ferns family buried under the church hall: Christianna (Christina Walker) (d 1828, 8 mos), Alexander John (d 1830, 1 yr), Christianna Sarah (d 1832, 1 yr), William James (d 1832, 9 yrs), and Eliza (d 1833, 8 mos). They died in a 5 year period before their father, Alexander John Ferns committed suicide in 1835. Alexander John’s father (also named Alexander John) is inscribed on the marker but there is no record of Alexander John Ferns in the burial register as having been buried in 1835.